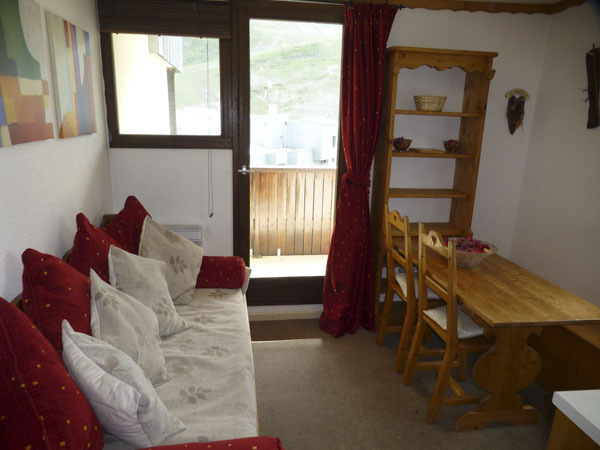 The Plein Soleil apartment block is near the heart of Val Claret and just a minutes walk from shops, bars and restaurants. You can easily walk 20 metres from the building entrance to the piste and ski straight down to the Funicular, Lanches, Bollin and Fresse chairlifts. The nearest chairlift to walk to is the Tuffs chairlift. The apartment is on the 2nd floor and faces South-West. 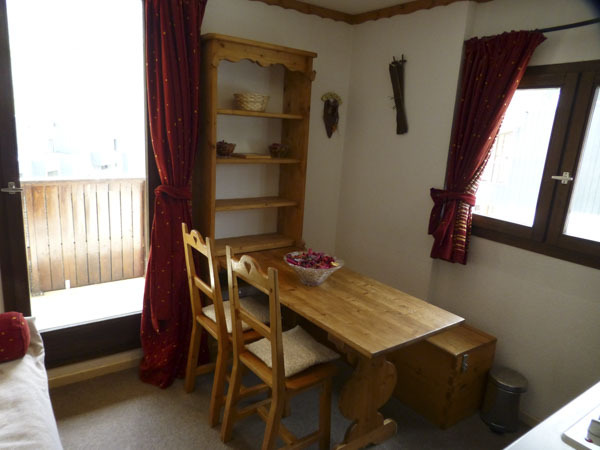 It is slightly different to a studio in that there is a "cabine" area containing bunk beds with a concertina door allowing that area to be closed off to the rest of the apartment. 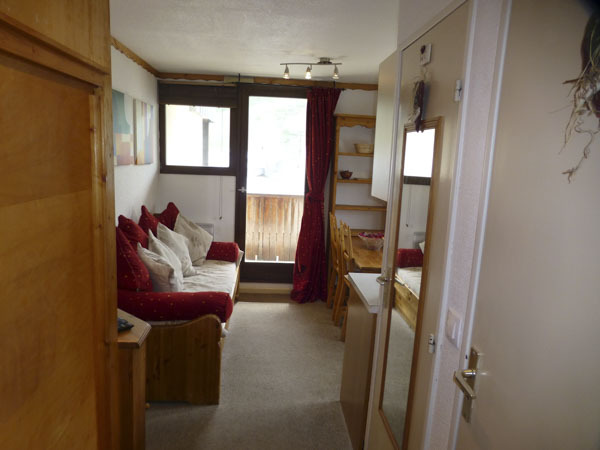 The Plein Soleil apartment block is near the heart of Val Claret and just a minutes walk from shops, bars and restaurants. 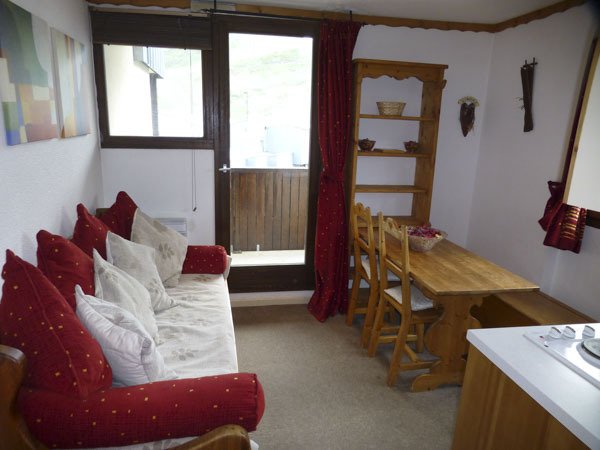 You can easily walk 20 metres from the building entrance to the piste and ski straight down to the Funicular, Lanches, Bollin and Fresse chairlifts. The nearest chairlift to walk to is the Tuffs chairlift. Next to the building there is a short access path leading you to the public elevator lift. 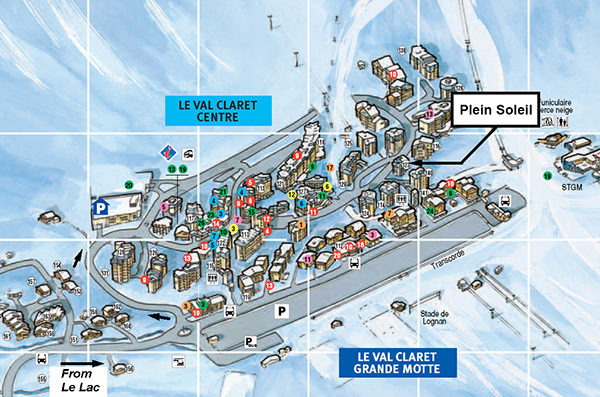 This elevator takes you to the lower level of Val Claret and the free shuttle bus stop. 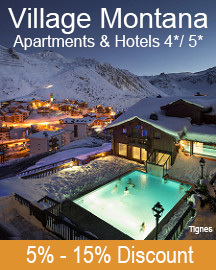 The bus runs 24 hours a day and gets you around the rest of Tignes with ease. The apartment is on the 2nd floor and faces South-West. 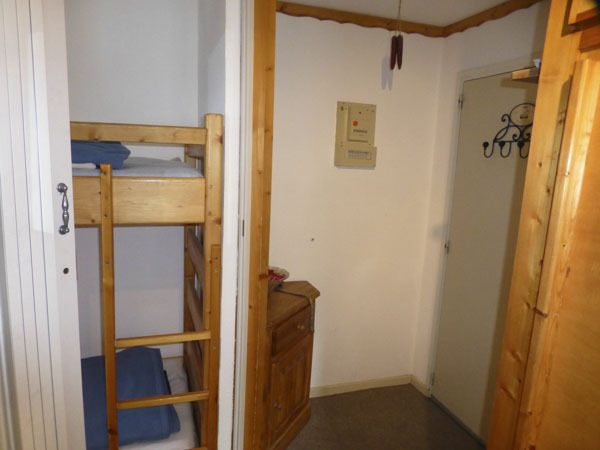 It is slightly different to a studio in that there is a "cabine" area containing bunk beds with a concertina door allowing that area to be closed off to the rest of the apartment. There is a large sliding door wardrobe in the hallway which faces the separate bathroom and toilet. This hallway leads into the living/kitchen/dining area. 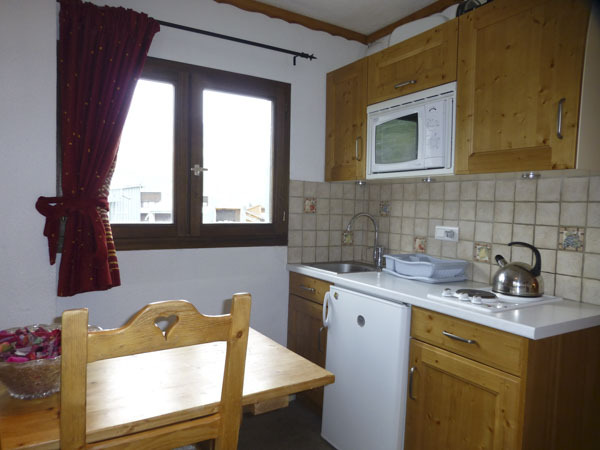 There are dual aspect windows in this area and a door onto a sunny balcony looking up to the Grande Balme and Tichot chairlift. 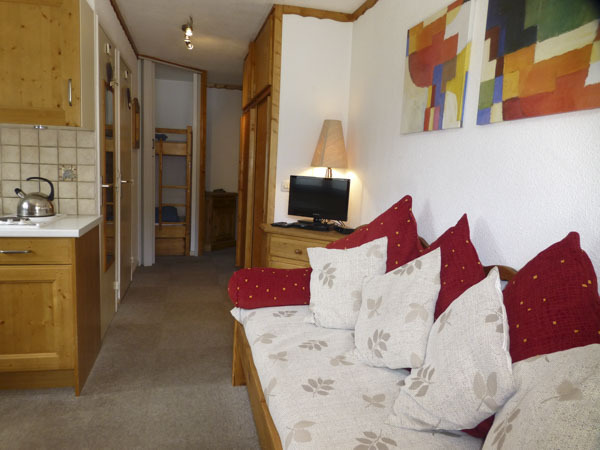 The kitchenette has all you need for a self catering holiday for up to 4 people. 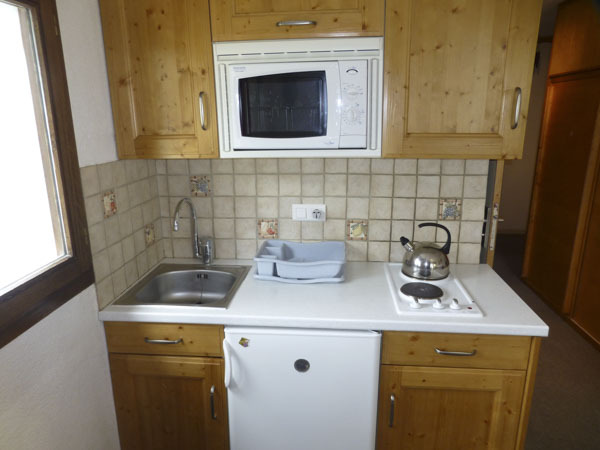 There is a 2 ring electric hob, fridge, kettle, toaster, coffee machine and microwave/combi-oven. 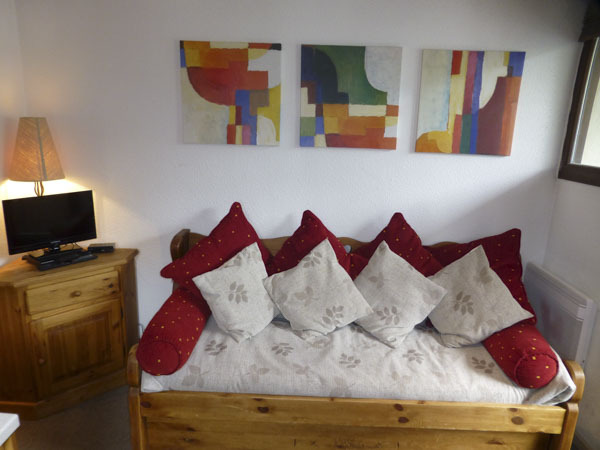 In the living area there is a traditional style sofa bed which splits into two to act as two single beds if required. 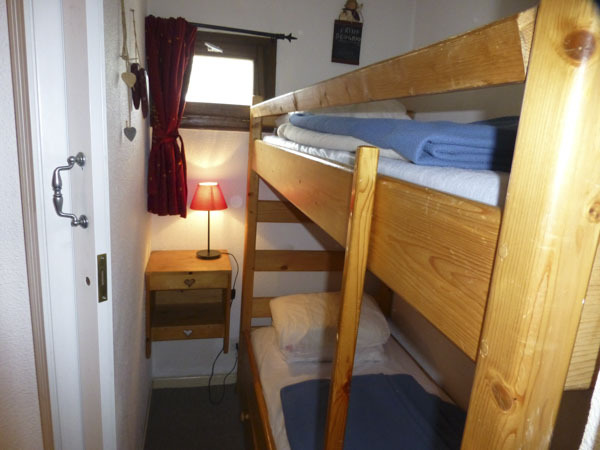 There are bunk beds in the cabine area with drawers underneath for storage. For your entertainment there is a TV with terrestrial French TV, and a DVD player (please bring your own DVDs). 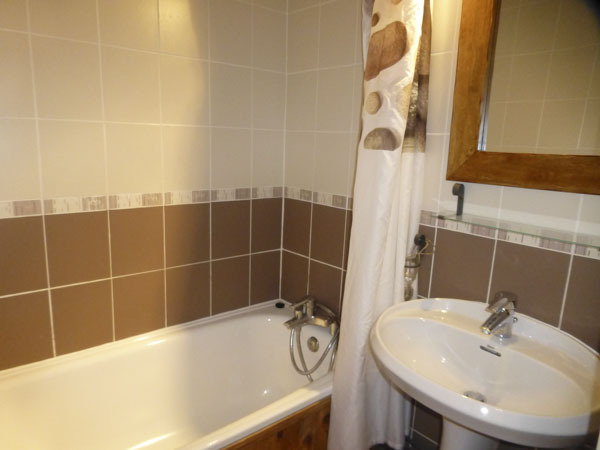 There is a standard size bath in the bathroom with shower head attached to the taps, as well as a wash basin. The WC is separate. There is a ski locker on the ground floor. This is a strictly no smoking apartment. Bed linen is included and towels can be hired from us in resort.